Gulshan Kumar presents a T-Series production in association with Vertex Motion Pictures Pvt Ltd. 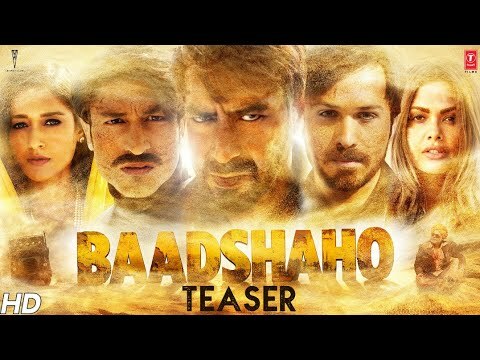 Produced by Bhushan Kumar Krishan Kumar and Milan Luthria, the official teaser of Baadshaho the upcoming Indian action thriller film written by Rajat Arora, directed by Milan Luthria. It features Ajay Devgn, Emraan Hashmi, Esha Gupta, Ileana D’Cruz Vidyut Jammwal and Sanjay Mishra in the lead roles.